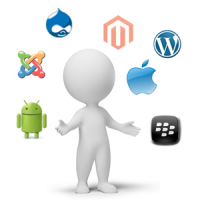 Home / Web Designers / Why to hire dedicated professional web designers? Why to hire dedicated professional web designers? A good website can impress your potential customers. If your website is unattractive, difficult to navigate and contain no required information then the visitors would not even bother to contact you again. That is the bitter truth. So, you need to hire good and best web designers to make your website more appealing and attractive. Now you can either design your own website, hire full time web designers or you can hire dedicated web designers. You would really want to choose rather the latter one because with them comes a lot of benefits and advantages. If you hire dedicated web designers, you will only have to pay them where there is work. They are not like your full time employees to whom you will have to continue pay the hourly rate even when there is no work. So in simple words, if there is no work there is no pay. When you have a job for them only then will you have to pay them. After the job is completed and there is no work, again you won’t have to pay them. The best part about hiring dedicated web designers from India is that the pay rates are very low. When you have to pay low rates to the hired workers, your expenses will be reduced and hence you will have more profit in your hands. Dedicated web designers ask for low hourly rates which can be quite beneficial for you. Dedicated web designers try to think about the whole designing process very creatively. These web designers have had a lot of experience because these days almost everyone tries to hire dedicated designers for their work rather than working on the design themselves or hiring a full time web designers. More experience equals to more creativity and that results to outstanding web design. These dedicated web designers can also be considered as virtual web designers. They are always ready to serve on your one call. Say if one day you don’t like the banner of your website then you can just contact them and ask them to change it. They will change the design as soon as possible. Not all employees can be available when you call them, but dedicated web designers are always ready to help and serve you. When you no longer have to worry about what kind of design to make, how to make it and what changes to make then you can completely focus on your own work. When there is no diversion you can make good decisions and make less number of mistakes. Another reason to hire dedicated web designers from India is that you won’t have to worry a lot and lose a lot of your hair.